The latest pop princess to emerge from the Disney clique made a huge splash in mainstream music with her infectious song, “Replay.” Zendaya Maree Coleman, known mononymously as Zendaya, is a singer, actress and dancer. 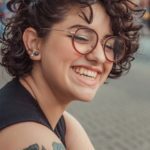 Originally from Oakland, California, this 17-year-old started her career off as a model before landing the role of Rocky Blue in Disney Channel’s Shake It Up. The starlet gained more popularity when she entered Dancing With The Stars as the youngest-ever contestant and finished runner-up. 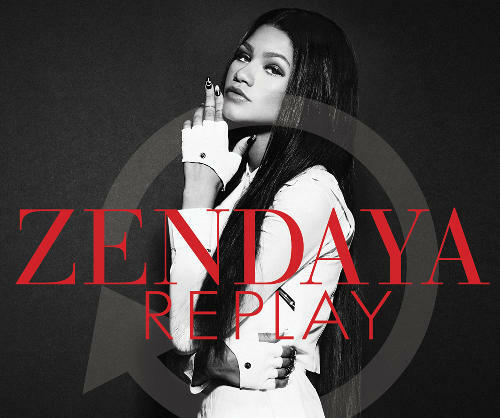 “Replay” encapsulates Zendaya’s music style: the song, which she co-wrote, has a pop-R&B and dance fusion vibe. Not only is the video shot in a dance studio – very reminiscent of Cassie’s “Me & You” – but it really is an awesome song to amp you up when breaking a sweat or getting ready for a night out. 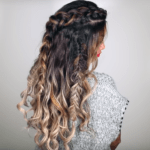 Here are three looks inspired by “Replay” – you’re going to want to wear them over and over again! Channel the dance vibes and look like you just walked out of a studio with this perfectly choreographed ensemble. Throw a slouchy off-the-shoulder sweater over some leatherette shorts, then add shiny sandals and a heartbeat ring. On a casual day, Zendaya goes for urban street-wear with a sweet touch. 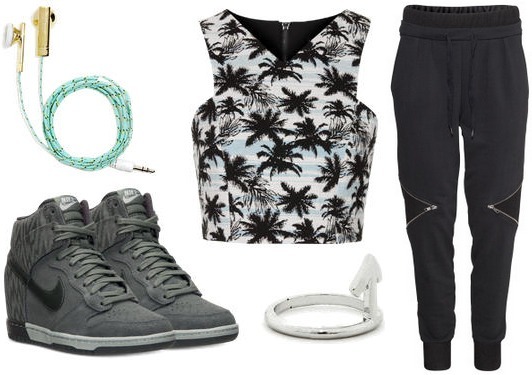 This outfit takes the R&B rhythms of “Replay” and funnels them into a totally comfy look you can wear anywhere you go. A printed crop top goes perfectly with embellished joggers – just plug in cute headphones, put on some grey sneaker wedges, and you’re ready to bounce! Zendaya channels Aaliyah’s “More Than A Woman” about halfway through the video with a head-to-toe white outfit. Here, we turned the look into the perfect daytime getup. Pair scalloped shorts with a mint green top and neon purse to evoke the glitch-pop features of the song. Kick it old school with pristine white high-tops, and set the tempo for the day with this bright spring look. On the last installment of Music Inspiration, we featured YouTuber Kina Grannis, with whom Zendaya performed in a Capital Cities cover. Here’s Zendaya’s must-see rendition of John Legend’s “All Of Me” that’s raking in online views. Are you a fan of Zendaya? What’s your take on her debut single? Are you into her sweet urban style? Let me know in the comments!